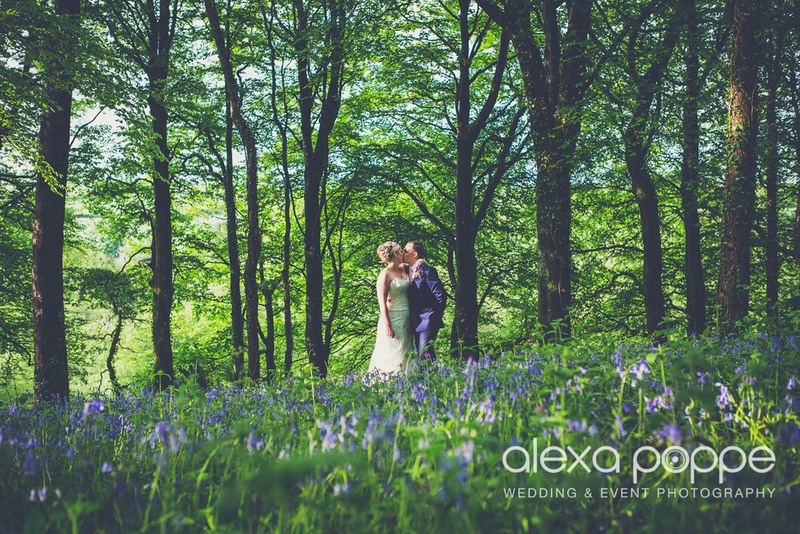 Laura and Nick were married late may at the beautiful Trevenna Barns in the heart of Bodmin Moor. What a day! The forecast was as bad as it could be with torrential rain predicted for the whole day and I didn't have my hopes up for it to clear up on the moors. Luckily it didn't spoil everyones mood and we all had a fantastic day. It's such a beautiful venue that even in the bad weather it's a lovely spot with great views over the surrounding countryside. We were waiting for the couple shots until after the wedding meal as I've seen a small chance for the rain to stop later in the evening.. I didn't expect the sun to come out and when I found out there were some bluebells left in the nearby woods (they are usually gone late may) it made my day! Here is a 1 image preview..busy times with editing all your lovely weddings, so more coming soon..